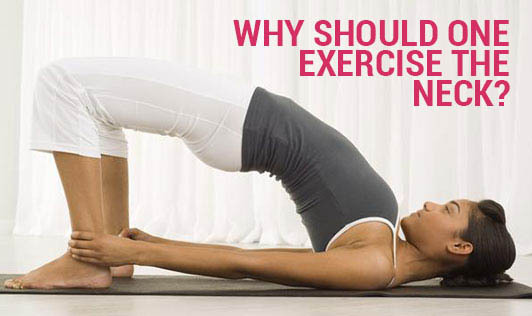 Why Should One Exercise The Neck? Exercises for the neck are very important. If done correctly they can increase your range of motion, mobility and strengthen the cervical spine. As you increase the mobility in your neck, you will notice greater range of motion and movement with less stiffness. To make the neck stronger, to strengthen the cervical muscles. To tone your neck muscles. Increase the flexibility of your neck. Have a more youthful looking neck. Wake up without neck pain. If you experience pain and neck stiffness while performing this exercise, it suggests that you have to do the stretching exercises slowly and only to the point where you can feel the stretch - you never want to do them to the point of pain. Keeping the joints moving and flexible is very important for patients with arthritis in the neck. Increase range of motion in the neck. Decrease neck pain and inflammation. Prevent neck pain and upper back pain at the end of the day when you work on the computer all day. Always make sure you breathe while doing neck stretches. This is very important as it will help you to relax the neck muscles while taking them through the normal range of motion.